Practical Creativity and Innovation in Systems Engineering exposes engineers to a broad set of creative methods they can adopt in their daily practices. In addition, this book guides engineers to become entrepreneurs within traditional engineering companies, promoting creative and innovative culture around them. The author describes basic systems engineering concepts and includes an abbreviated summary of Standard 15288 systems’ life cycle processes. He then provides an extensive collection of practical creative methods which are linked to the various systems’ life cycle processes. Next, the author discusses obstacles to innovation and, in particular, how engineers can push creative ideas through layers of reactionary bureaucracy within non-innovative organizations. Finally, the author provides a comprehensive description of an exemplary creative and innovative case study recently completed. Offers typical systems engineering processes that can be accomplished in creative ways throughout the development and post-development portions of a system's lifetime. 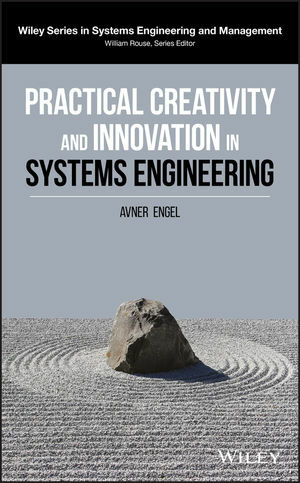 Written for systems engineering practitioners, graduate school students and faculty members of systems, electrical, aerospace, mechanical and industrial engineering schools, Practical Creativity and Innovation in Systems Engineering offers a useful guide for creating a culture that promotes innovation.